A few nuggets, links and thoughts to start up the week: 1. Ben Arment and I have been challenged to a dance contest by Stephen and Jay at Integrity. Game on. Expect a video in the next couple of days. You can't hang Brewster! 2. 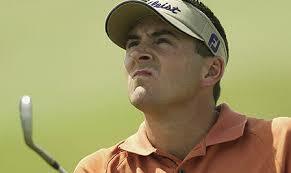 By the way, has anyone noticed the striking similarities between Ben Arment and Ben Curtis, the pro golfer? Both Ben's, but look like twin brothers! 3, Our creative program team is meeting for two days to finalize the flow for Catalyst. Updates from the meeting will be available on the Catalyst Space blog. 4. The opening ceremonies of the Olympics might have been the greatest live show I've ever seen. Wow. 5. According to those who attended the Leadership Summit, friends Craig Groeschel and Catherine Rohr totally hit home runs with their sessions. You can find interviews with them after their session here.